Multiple Grammy® Award-winning jazz pianist and world-renowned singer, Diana Krall brings her international “Turn Up The Quiet World Tour” to Worcester on October 6. Read on for five fun facts, then visit our website to reserve your tickets. 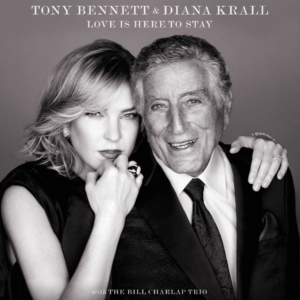 Diana Krall helped produce Barbara Streisand’s 2009 album, “Love is the Answer,” and has also performed duets with stars such as Natalie Cole and Tony Bennett. Diana started piano lessons at age four and started performing in local Canadian restaurants and bars when she was 15 years old. She received a scholarship to attend the Berklee College of Music in Boston, Massachusetts. Diana Krall is the only jazz singer to have eight albums debut at the top of the Billboard Jazz Albums chart. Here albums “When I Look in Your Eyes” and “Live in Paris” both won Grammy® Awards for Best Jazz Vocal Album in 2000 and 2003, respectively. “When I Look in Your Eyes,” released in 1999, became a huge hit for Krall. The album solidified her status as an international star. It was also nominated for a Grammy® Album of the Year, something no other Jazz album had received in 25 years. Krall’s breakthrough came with “All for You,” a tribute to Nat King Cole that spent more than a year on the jazz best-seller lists.